Leave it to high-end German designers Jessica Battram and Christina Schaeffer to come up with an elegant solution for slicing apples. 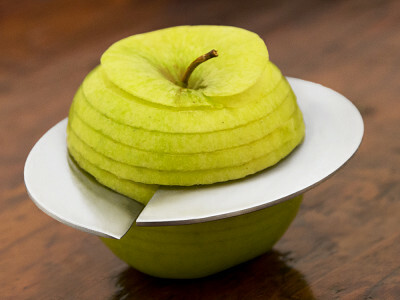 The Giro Apple Slicer allows you to slice in a spiral form around the apple's core. Its downturned blade cuts into the apple and with just a tiny bit of pressure, your fruit is sliced. An added feature, the giro can be placed on top of a started apple to prevent it from turning brown or drying out. 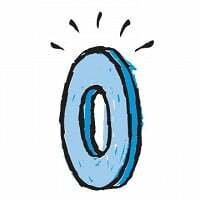 Beautiful in form; simplicity in action, Mono makes an everyday gadget useful and a-peeling. 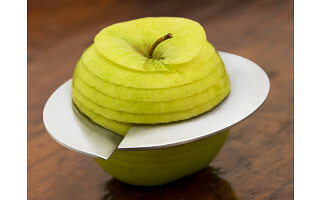 Leave it to high-end German designers Jessica Battram and Christina Schaeffer to come up with an elegant solution for slicing apples. The Giro Apple Slicer allows you to slice in a spiral form around the apple's core. Its downturned blade cuts into the apple and with just a tiny bit of pressure, your fruit is sliced. An added feature, the giro can be placed on top of a started apple to prevent it from turning brown or drying out.